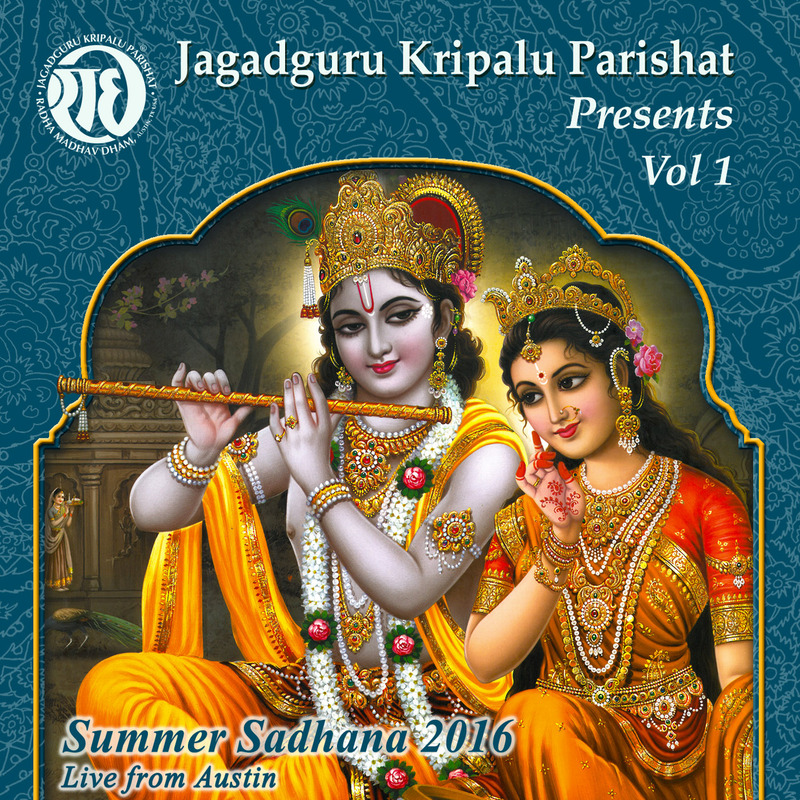 Devotional Chantings revealed by Jagadguru Shree Kripalu ji Maharaj during Summer Sadhana Shivir 2016 at Radha Madhav Dham…. 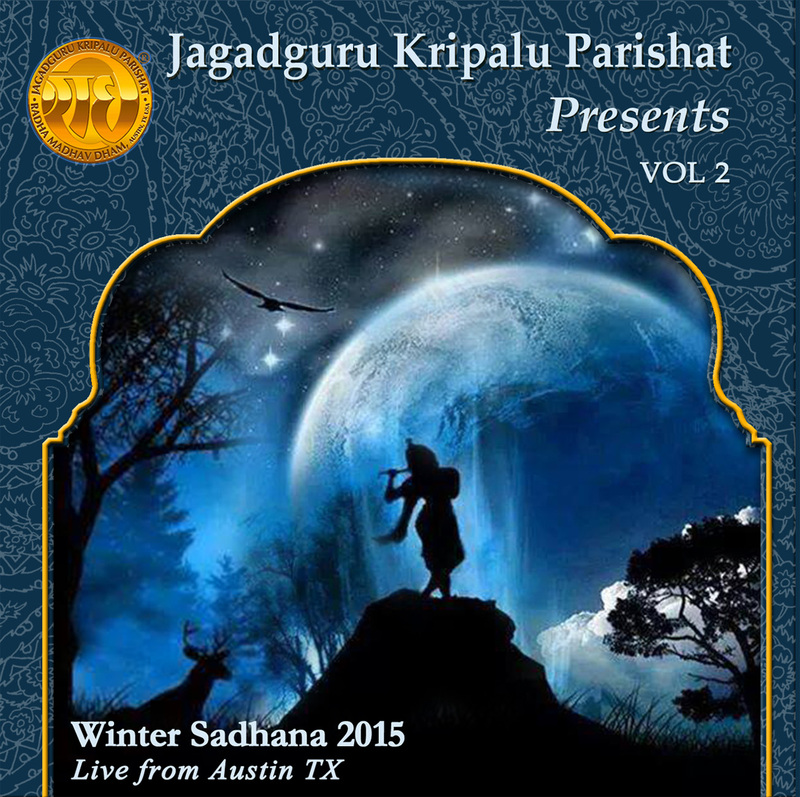 Devotional Chantings revealed by Jagadguru Shree Kripalu ji Maharaj and sung by various chanters during Winter Hindu Family Camp 2015 at Radha Madhav Dham…. 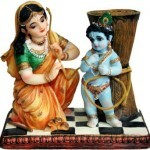 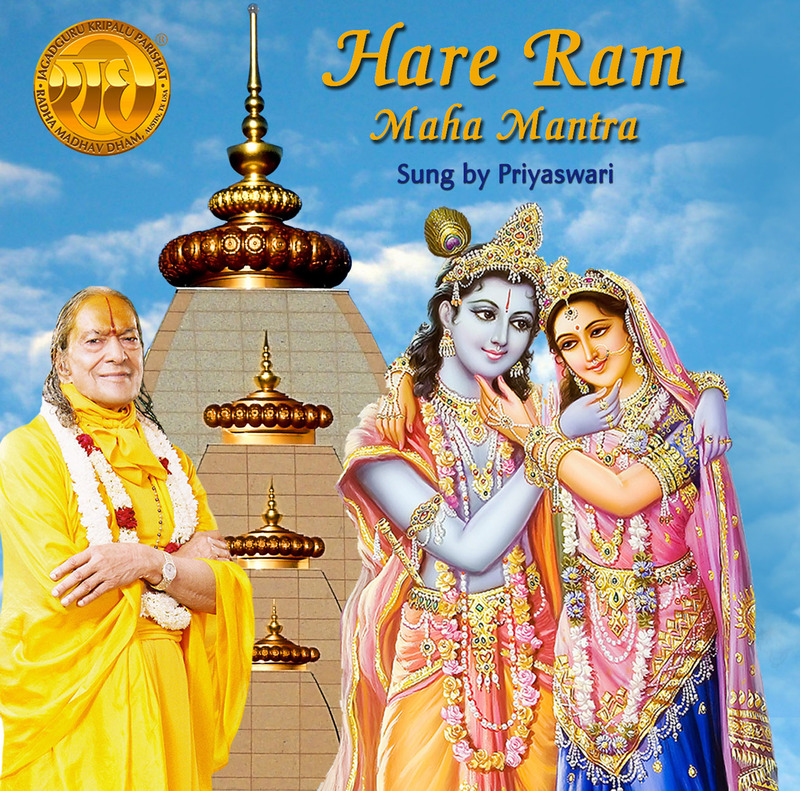 Hare Ram Naam Sankirtan sung by Priyaswari didi. 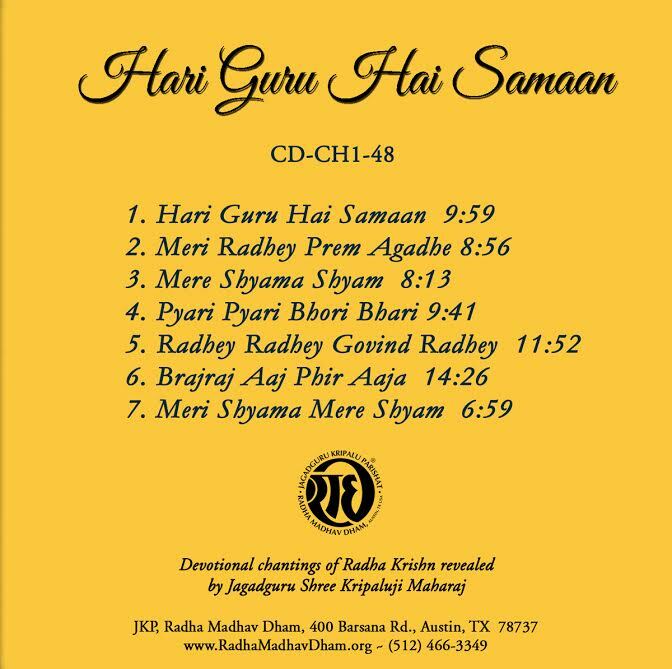 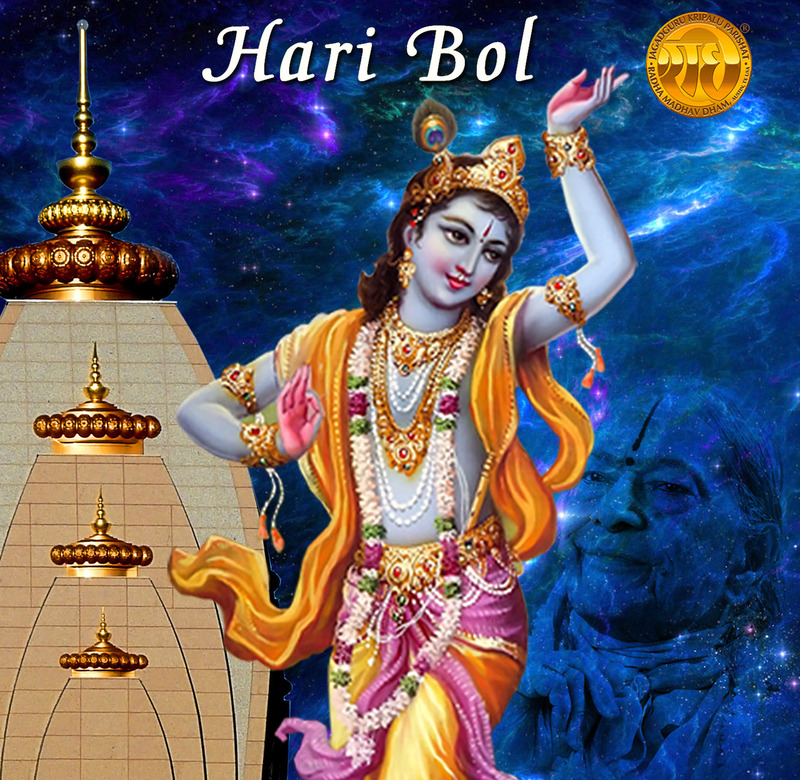 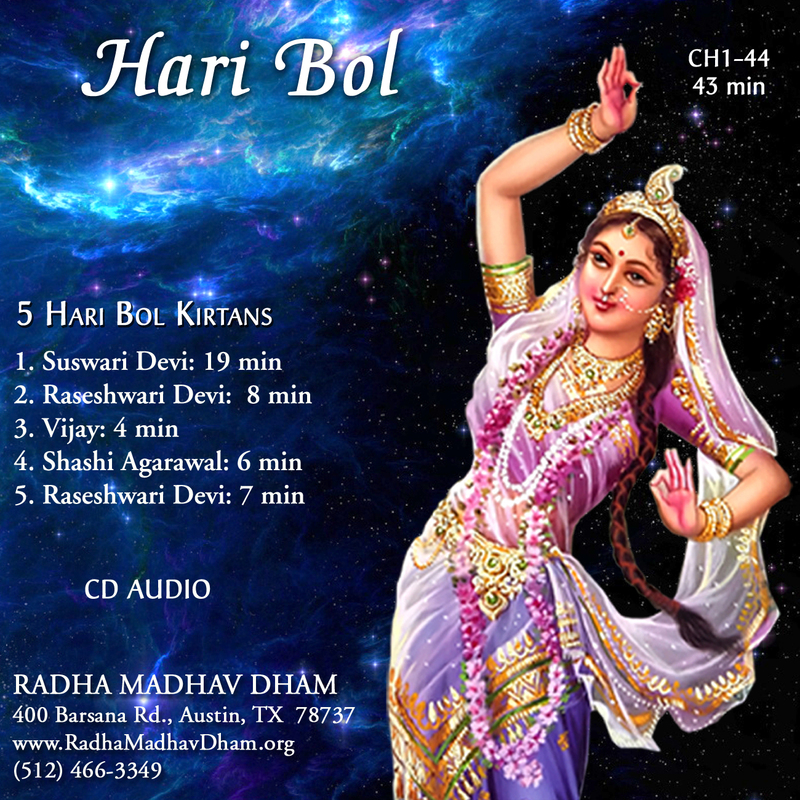 Hari Bol Kirtans sung by various chanters. 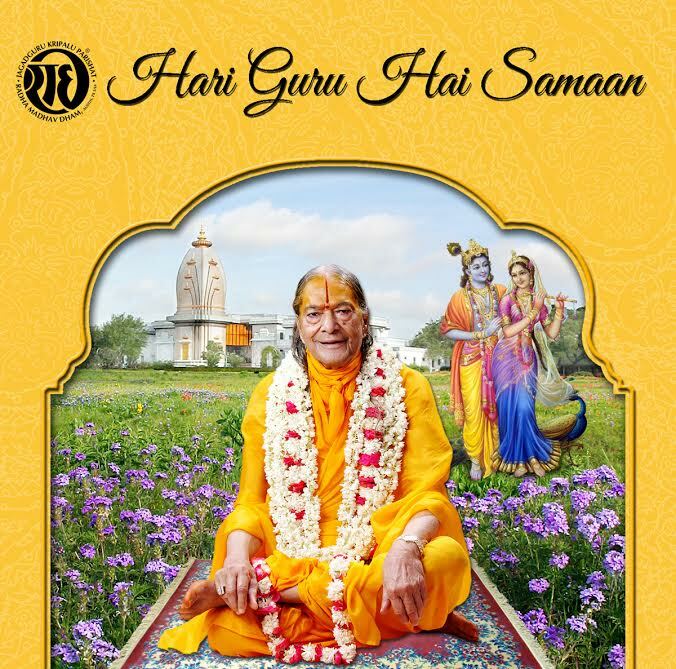 Devotional Chantings revealed by Jagadguru Shree Kripalu ji Maharaj and sung by Swami Nikhilanand during Winter Hindu Family Camp 2015 at Radha Madhav Dham…. 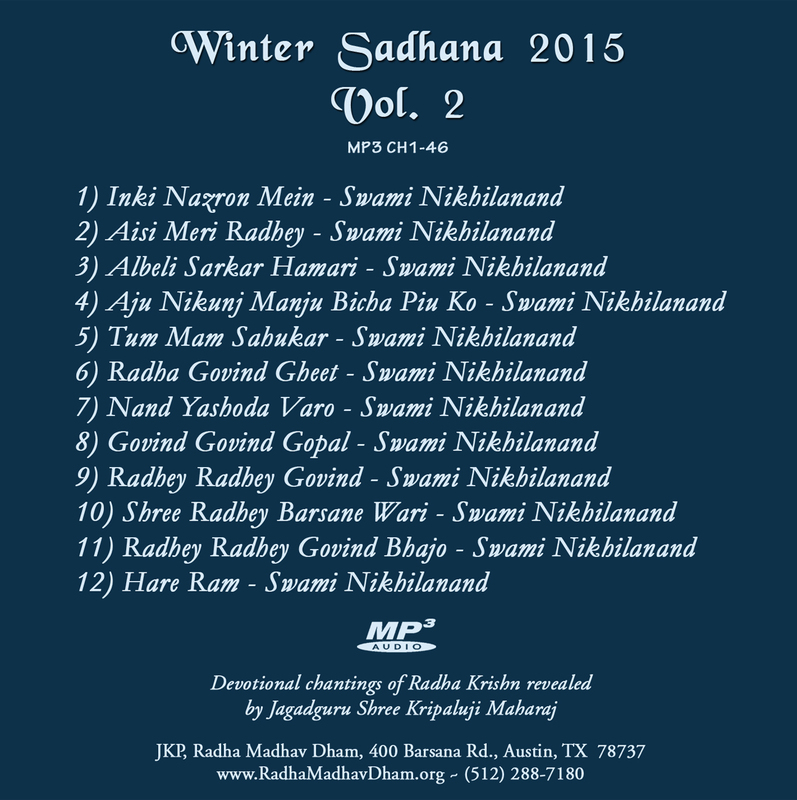 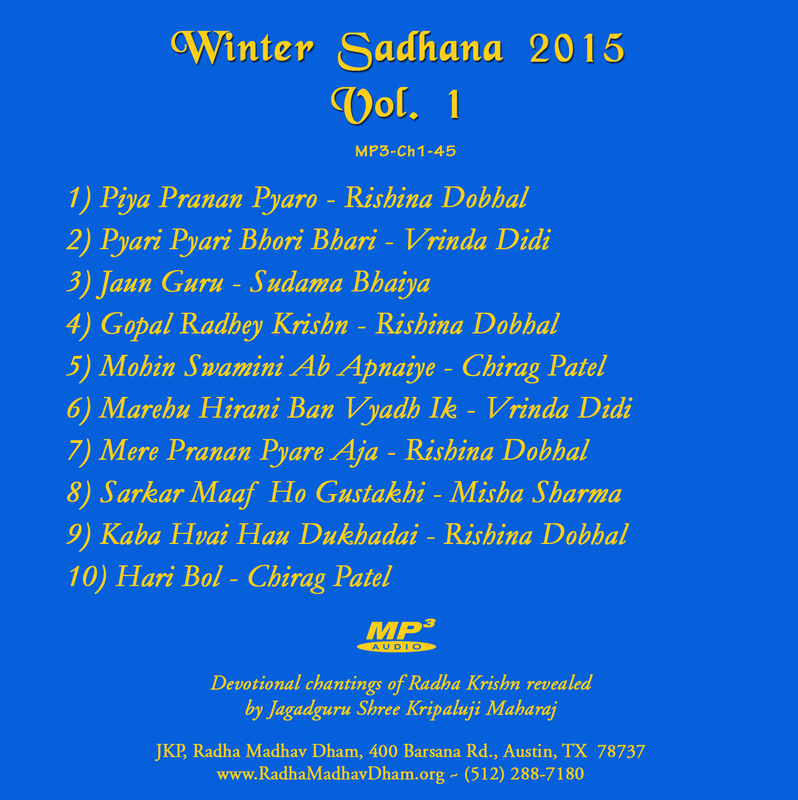 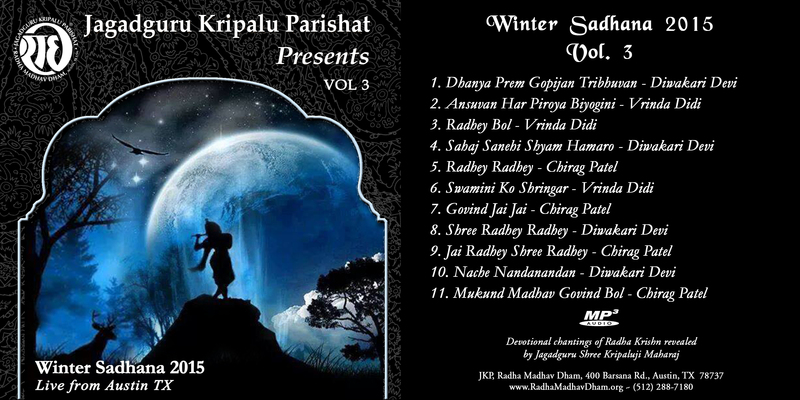 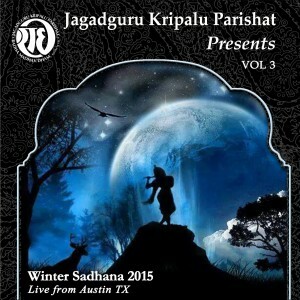 This MP3 CD is a collection of elevating chants sung by various chanters during 2015 Winter Hindu Family Camp at Radha Madhav Dham…. 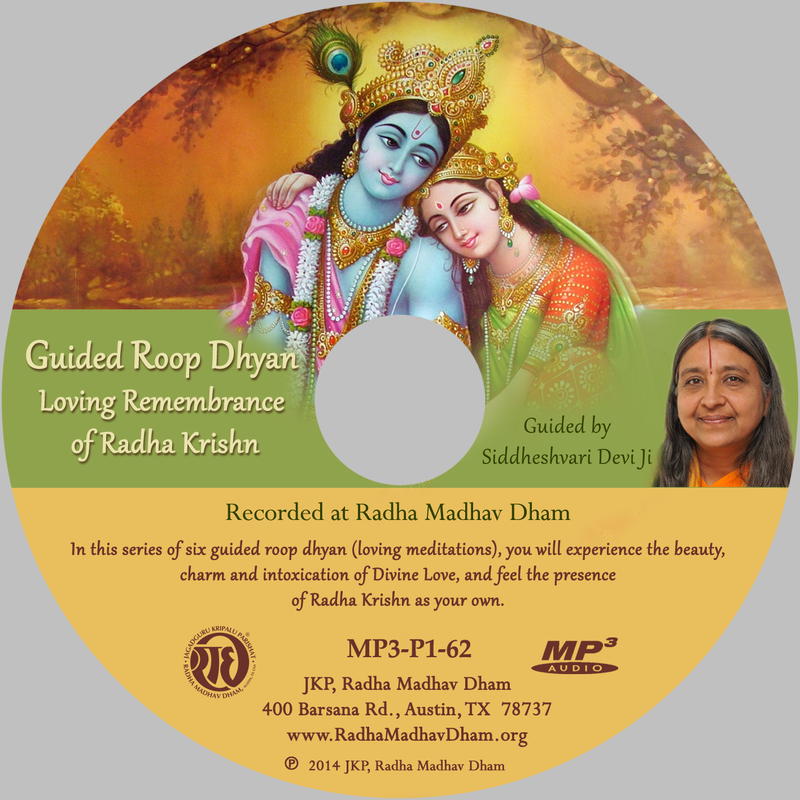 In this series of six guided roop dhyan (loving remembrance), you will experience the beauty, charm, and intoxication of Divine Love, and feel the presence of Radha Krishn as your own…. 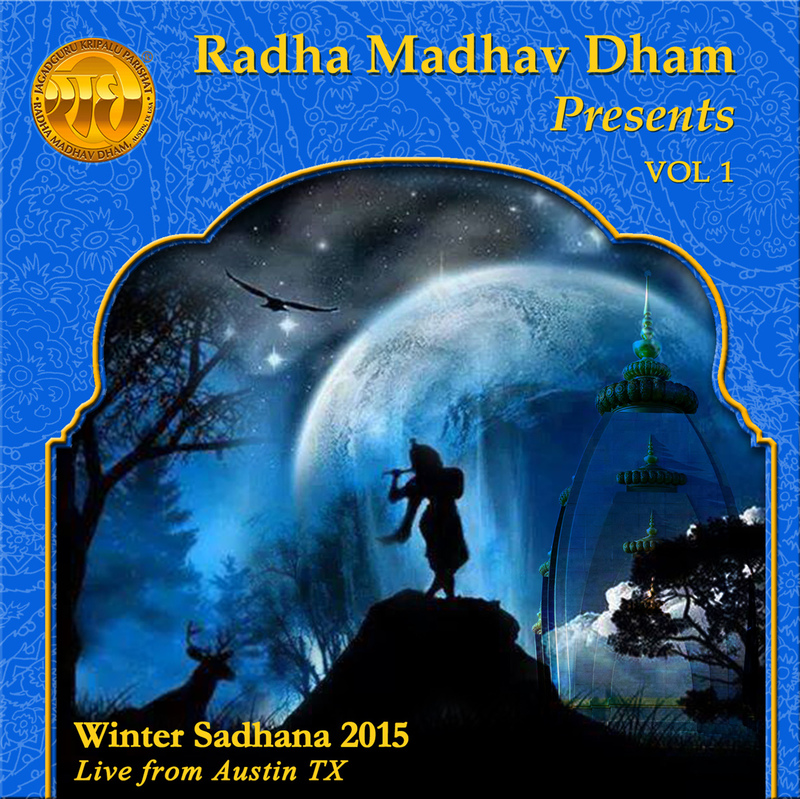 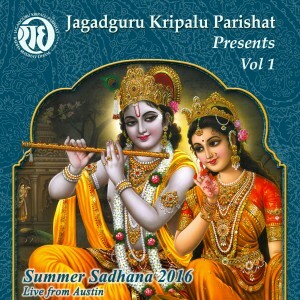 This MP3 CD is a collection of elevating chants sung by various chanters during 2014 Sadhana Shivir at Radha Madhav Dham…. 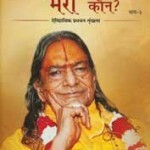 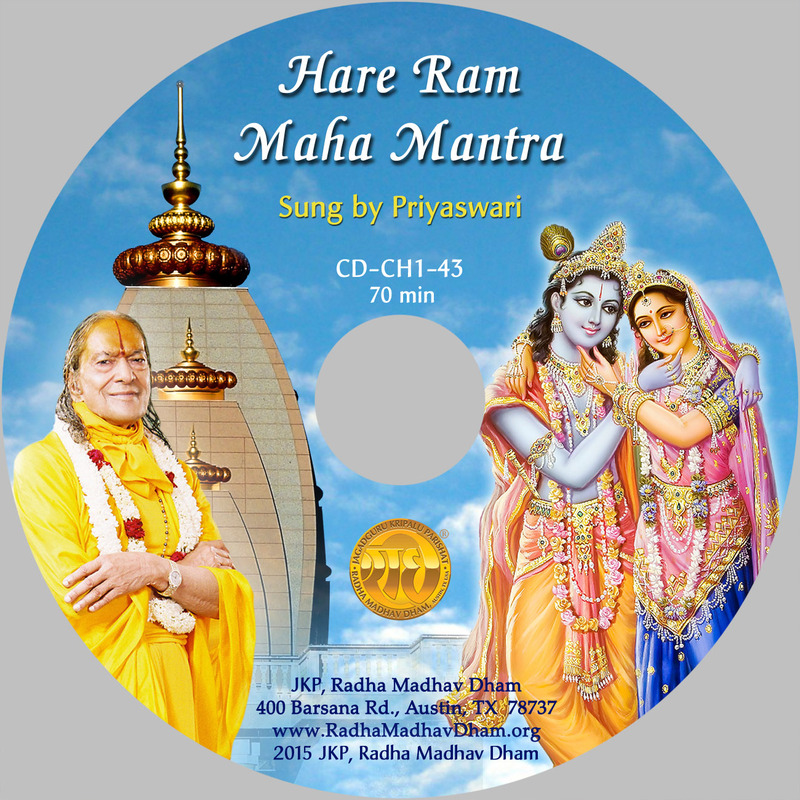 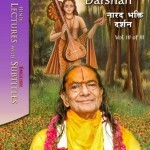 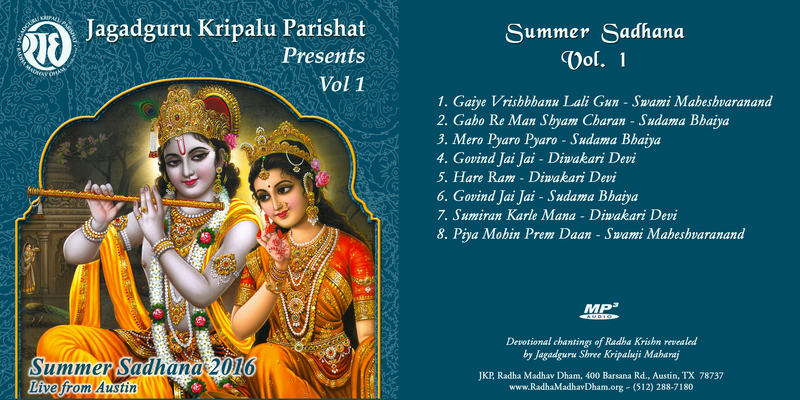 This MP3 CD is a compilation of uplifting chants revealed by Jagadguru Shree Kripalu ji Maharaj, sung by various Preachers present during 2014 Shadhana Shivir…. 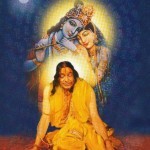 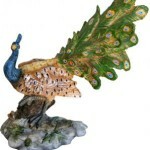 It is only by the grace of God that you can attain Supreme Peace.